Posted on 06/06/2016 by Mickey McCarter	in Around Town, Stars and Bars and tagged Adroit Theory, Beer, beer festival, Mark Osborne, porter, saison, SAVOR, SAVOR 2016, SAVOR craft beer and food experience, stout. 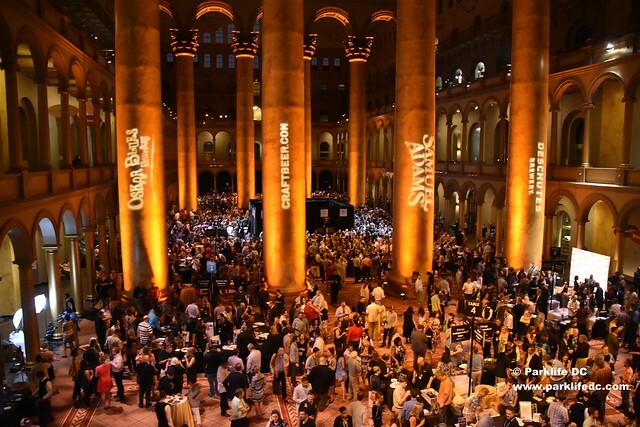 Mark Osborne at SAVOR 2016. The owners of Adroit Theory Brewing Co. are fond of following their musical inspirations when making beer. And that led to a beer called Black Celebration, which was born of a collaboration with New York-based DJ Dieselboy. 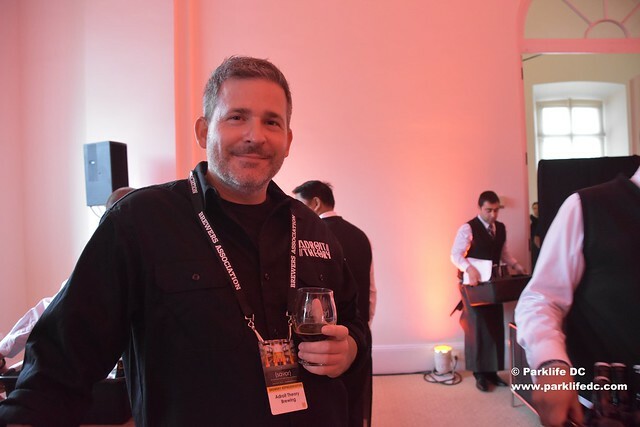 Dieselboy wasn’t really a “beer guy” but he’s a true foodie, having been profiled in several food magazines, explained Adroit Theory owner Mark Osborne during a salon at the SAVOR Craft Beer and Food Experience at the National Building Museum in DC on Friday. Even better, Dieselboy had introduced a cocktail called the Higgins. “We reached out to him to make a beer that would taste like his cocktail,” Mark said. The resulting Black Celebration, named after a song by Depeche Mode, is an Imperial porter aged in oak barrels, clocking in at 9.99% ABV. Adroit Theory likes their beers strong, and generally dark. The lowest ABV beer ever made at Adroit Theory is a powerful 7% ABV, and the lowest on tap right now at the brewery’s tasting room is 7.3%, Mark said. A range of 8-10% ABV is typical for Adroit Theory’s beers.